How would you like to leave your mark at the site of historic Tiger Stadium? You can relive your memories of Tiger Stadium, while helping the kids in Detroit – whether it was taking in a game with your dad, watching the Tigers greats with your friends and family, or even a special proposal. We can still remember the smell of popcorn and the sound of a bat hitting the perfect pitch and we’re excited to bring baseball back to the corner of Michigan and Trumbull! Buying a brick today will honor your memories of the site and help PAL build this new stadium for Detroit’s kids. Detroit PAL is currently redeveloping the site of historic Tiger Stadium. 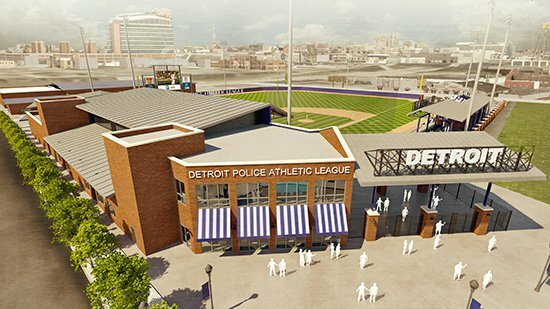 This new headquarters and stadium will be Detroit PAL’s first permanent home! 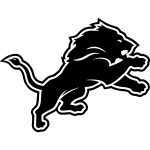 The project includes PAL’s headquarters, a 2,500 seat stadium, leadership and banquet center, and more. 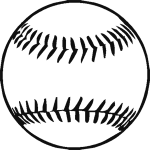 The ‘Willie Horton Field of Dreams’ presented by Meijer will bring baseball back to the corner of Michigan and Trumbull and, most importantly, give Detroit’s kids the chance to play on a great field at a state-of-the-art stadium. By buying a brick today, your donation will help Detroit PAL complete construction at this important site. Purchasing a brick is a great way to honor a loved one, leave your mark at this historic site, and support the kids in Detroit. 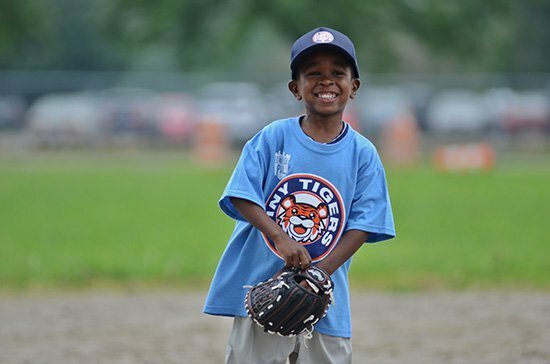 Detroit PAL’s mission, in partnership with the Detroit Police Department and more than 1,700 community volunteers, is to build character in young people through athletic, academic, and leadership development programs. Detroit PAL offers 11 different athletic programs and numerous youth enrichment opportunities for more than 13,000 deserving young boys and girls each year. Note: If you are adding clip art to your brick, you may want to limit your lines of text to 4 lines for an 8x8 brick or 6 lines for a 12x12 brick to allow more room for the image.